Memorial Day is commonly thought of as the start of summer. Most students are still in school and the pool water may might be a little chilly after several days of cool temperatures and plenty of rain, however, the traditional start of summer is here. Summer vacations are being planned with "staycations" becoming more popular with residents enjoying swimming, BBQ'ing and planning many other fun activities right here in Prince George's County. The Memorial Day weekend is when many private, public and home swimming pools open as well as BBQ grills are cleaned off and readied for summer cook-outs. 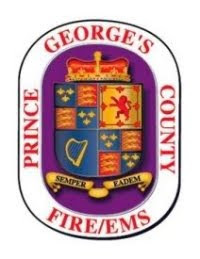 The men and women of your Prince George's County Fire/Emergency Medical Services (EMS) Department (PGFD) unfortunately have seen many festive occasions quickly turn into tragedy when a swimming incident or BBQ grill fire erupt. We want to help you avoid those circumstances. Everyone needs to keep safety at the forefront of every activity. We offer these common sense safety tips that will help to keep everyone safe including our firefighters and paramedics. By you staying safe keeps our emergency personnel in the Fire/EMS Station and available for other incidents. Remember, "Safety First Ensures Everyone Goes Home." It is anticipated that many backyard barbecue's will be in use over the course of this upcoming long holiday weekend and throughout the summer months. The men and women; volunteer, civilian and career of PGFD recommend that you exercise caution and keep safety in mind when setting up, using and cleaning your BBQ grill. Did you know that cooking, most notably "unattended cooking" is the number one cause of fires and fire related injuries in Prince George's County, this includes both inside and outside cooking: WATCH WHAT YOU HEAT!!! •By Law - Grills must be at least 30 feet away from any multi-family apartment dwelling. •When using a grill at your single family home – homeowners should use a 10-foot perimeter from anything combustible – including your house!!! Never place a grill up against your house, wood deck or fence. •Do not allow children and pets to play near a grill - set up a 10 foot safety zone around your grill. •Keep a fire extinguisher, garden hose or bucket of sand nearby to douse a grill fire that gets out of control. •Inspect your grill before you ignite to ensure everything is in working order. This inspection includes all connections on your gas grills are tight and not leaking. Charcoal ashes and used briquettes should be disposed of in a metal container and allowed to cool down for up to 48 hours before disposal. Keep ash container off of your wood deck and away from your house. Currently our forecast calls for a beautiful Holiday weekend and thousands of residents will be taking full advantage of swimming pools. Keeping safety first will help to prevent such a festive occasion from becoming a tragedy. •Always watch your children and never leave them unattended. A lack of adult supervision is one of the leading contributing factors to children drowning. •Do not rely on flotation devices to protect your children from drowning. You must supervise at all times. •Have a phone nearby in the event you need to call 911. •Have children swim in pairs - the "buddy system"
•If a child is missing - check the pool first. •Teach your child how to swim. Visit www.pgparks.com/aquatics.htm for additional information. •Learn CPR and how to use an Automatic External Defibrillator (AED). Visit http://www.redcross.org/take-a-class or call the Fire/EMS Department CPR Information line at 301-864-LIVE (5483). •Install a fence around the perimeter of the pool. •Use self closing latches and gates. •Install a door alarm from the house to the pool area. •Have life saving equipment nearby such as life rings or reaching poles. Commercial and public pools should have an AED readily available and personnel trained on how to use it if needed. Speaking of swimming pools, Firefighter/Medics can perform a wide variety of services, emergency and non-emergency, to assist our citizens, visitors and businesses. One of the services we do not provide is to fill your swimming pool with water. Please contact a contractor that can provide this service for you. The combined volunteer, civilian and career men and women of the Prince George's County Fire/EMS Department wishes everyone a festive and safe Memorial Day. Keep safety in every aspect of your event!! !